Goa ... the land of sun and the surf and all things enjoyable ... but did you even imagine that Goa is home to some lovely Museums . . . . Museums . . . . yes you heard right ! Duration: The museum is open on all days from 10.00 AM to 6.00PM except on public holidays. Photography: Cameras and videos are allowed inside. 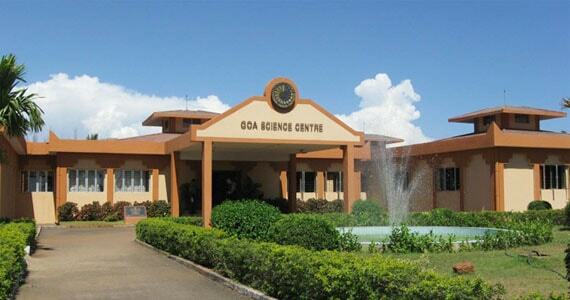 The Goa Science Center, houses numerous science and astronomy wonders. The museum features a planetarium and science park. The 3D theatre on-location showcases science shows. Duration: The museum is open on all weekdays between 9.30 am and 5.30 pm. 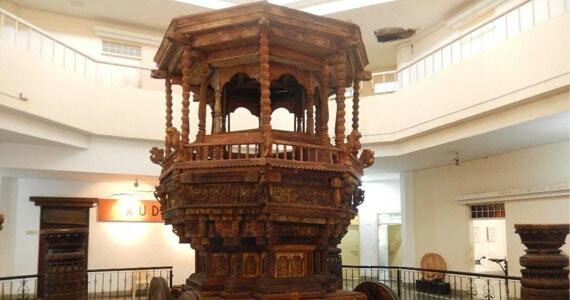 The Goa State Museum has an impressive collection of artifacts encompassing exhibits, artifacts and items pertaining to religious expression, history of printing in the state, lottery printing, cultural anthropology, contemporary and Christian art, furniture, sculptures and Goa’s struggle for freedom. Fees: INR 100 for adults and INR 25 for children. The Museum is built as a traffic island in Torda, Salvador-do-Mundo Bardez Goa is dedicated to the history of architecture in Goa, and displays interesting facts about European and Portuguese building practices during the colonial times. Its home to the The renowned Mario Gallery. 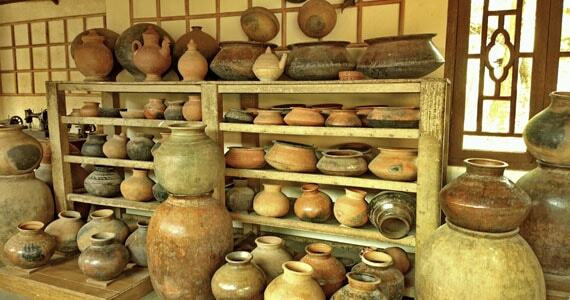 Famed for its impressive collection of sculptures, furniture, ivory, paintings, textiles and metals. 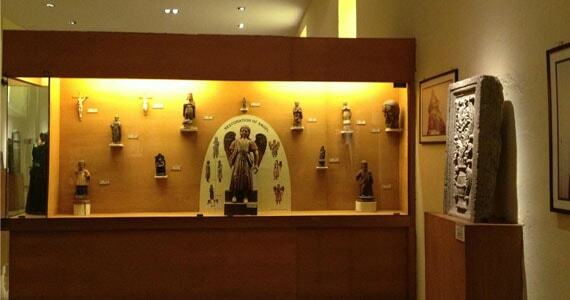 There are several other exhibits that are centuries old and depict the overpowering prevalence of Christianity in Goa several centuries ago. 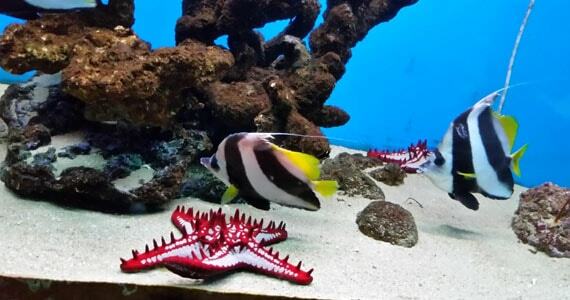 Abyss Aquarium flaunts an exotic variety of aquatic heritage with a collection of more than 60 species. Some of these fishes have been imported from different parts of the world which including Japan, Pakistan, China, Arabian Sea, Australia, Indonesia and Lakshadweep Islands. 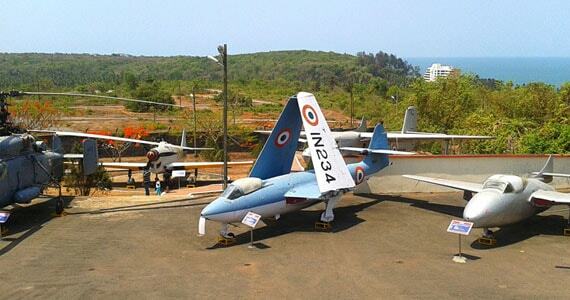 It is the first one of its kind in Goa and a great attraction for tourists. They say that Abyss Aquarium is India’s one of the most maintained aquariums with a lively ambience. Around 18 km from Panjim, this huge aquarium complex is placed on the Verna-Goa National Highway. 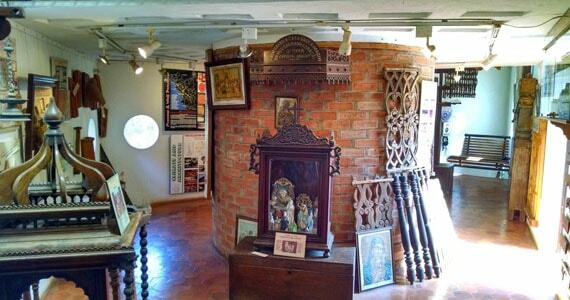 Located in the picturesque village of Loutolim, Ancestral Goa is also called the Big Foot museum. 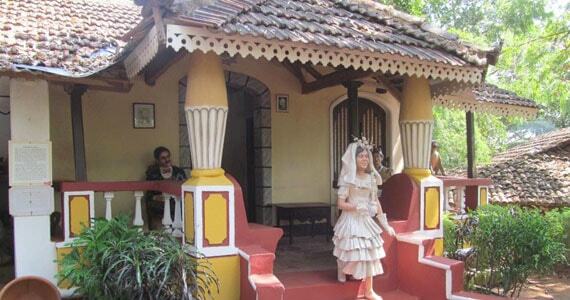 It is an open air museum that displays life-size statues, sculptures depicting the culture of rural Goa. handicrafts. The model village that displays miniature Goan traditional homes, village market, liquor stores and distilleries is indeed unique and a sight to behold. 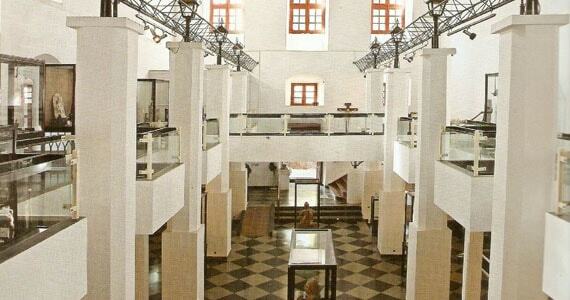 Established in the mid nineteenth century, this museum displays antiquities that date back to the medieval period – making it one of the most interesting museums of Goa. On the walls you can see portraits of governors and viceroys, pillars, postage stamps and several other objects pertaining to the Portuguese rule in India are showcased here. Goa Chitra has a unique collection and display of traditional farming implements and other ancient tools of trade set up against the backdrop of a traditional organic farm. 213 years old mansion was built by a Portuguese noble man, who was the Dean of the Church, and founder of Quepem town. It is built in an unusual style blending elements of Hindu and Portuguese architecture. 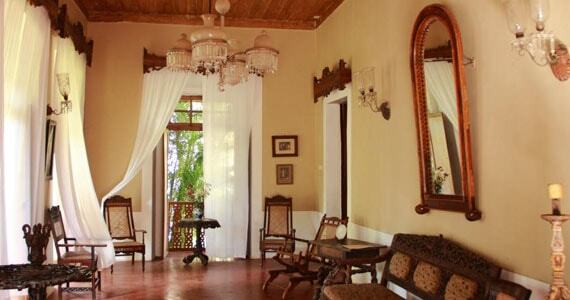 A sprawling bungalow, the home is a treasure trove of cultural artifacts; the Indo-Portuguese architecture to the stone ornaments and the library with rare books on History, this place is for people seeking an odyssey through Goa’s rich legacy.. You can top this experience with a culinary indulgence at the in-house restaurant serving delectable Goan cuisine.